The Body Shop Malaysia is giving away ONE (1) free Vitamin E Moisture Cream 15ml (RP: RM14.90) per Facebook user (until their stock for this offer replenished). 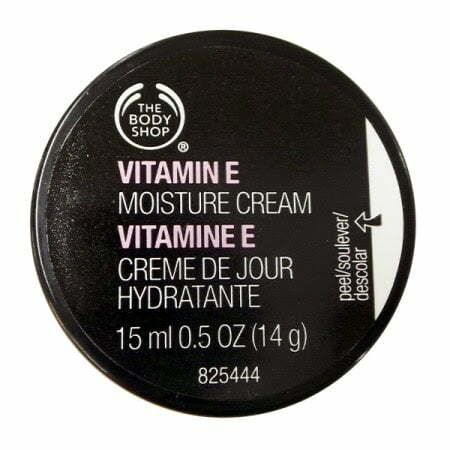 The Vitamin E Moisture Cream 15ml has been always their bestseller. In fact, it fast-absorbing daily moisturising cream that has the lightness of a lotion with the moisturising benefits of a cream. It also helps protect the skin, leaving it feeling soft, smooth and healthy-looking. Vitamin E Moisture Cream 15ml is suitable for normal skin. This giveaway offer is only valid from 2nd August 2014 – 31 August 2014, and it’s only applicable to all The Body Shop stores in West Malaysia (excluding Johor Premium Outlet, and SOGO Kiosk). In order to redeem your free gift, kindly click here. For further enquiries on the exclusive offer, please contact The Body Shop at ecomm.my@thebodyshop.com.my or call them at +603-5632-4313 (Weekdays: 10am – 6pm).